For some reason my computer keeps messing up when it comes to making the Post-it Notes, so today's version will just be me writing. If I spend anymore time trying to figure out what's going on with the damn computer, I will loose my mind! Last night I watched a new TV show on A&E called Heavy. It inspired me to want to start working out. So last night I was Wii-ing for like an hour, and I was sweating like there's no tomorrow. My fiance had bought one of those Wii Balance Board sets, and we've been having fun trying out all the games. I'm amazed at how out of shape I am. What I really need is a personal trainer... but there's no way in hell I could afford it. I'm thinking of writing a few of the closest gyms to my place, and seeing if they're willing to offer a free membership and trainer in exchange for advertising. I guess it couldn't hurt... the worst that could happen is they say no or ignore my request. Well, we'll see what happens... I would be amazed if I got a reply, but who knows. Stopping by and following from FMBT - I love crazy cat ladies! The gym I go to is pretty cool about offering different options to people - i've known of a few who've offered to advertise in exchange for a membership, or someone offers to write a review in the paper after working out for a month for free... that sort of thing. Good luck! It's great that you're motivated :) I sweat like a frickin' hog when I work out! It's good though... means there's some progress goin' on! 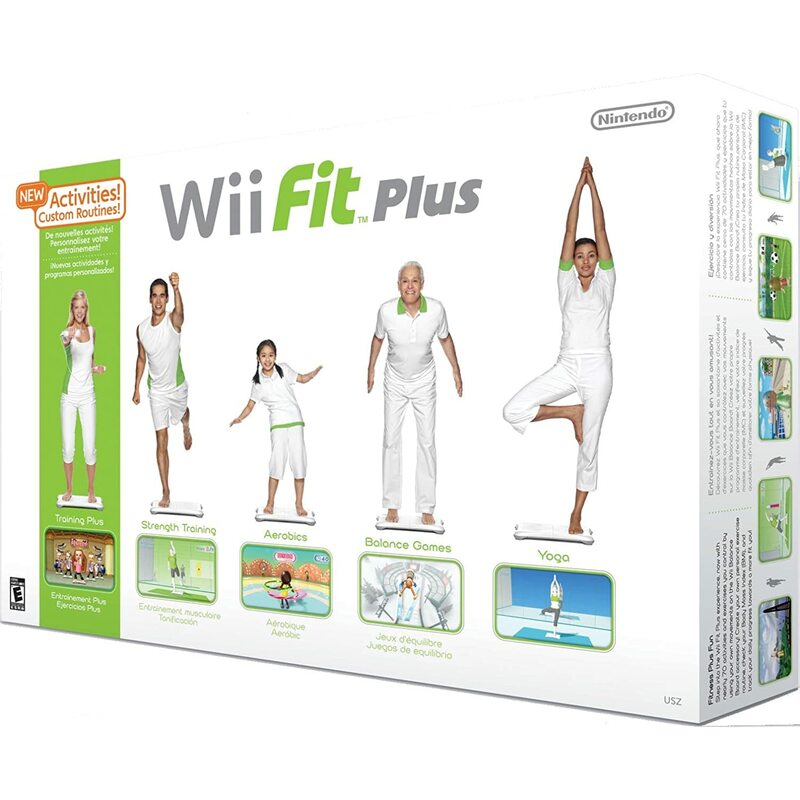 I need to get Wii Fitness. So many people talk about it being a great workout. Sorry your having issues with making your notes!